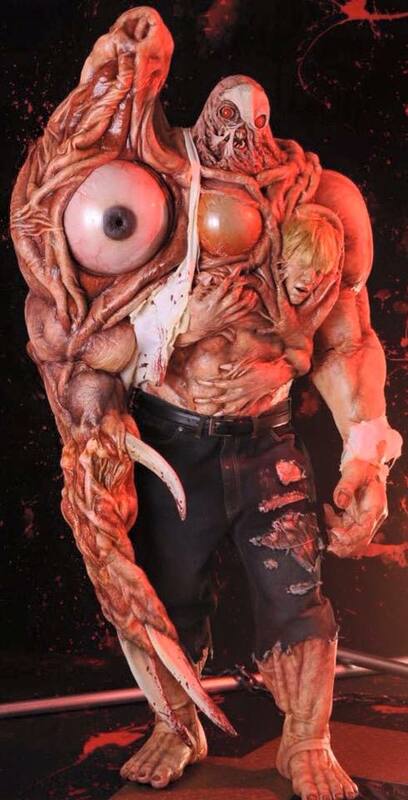 Those of you who remember and have played Resident Evil 2 will instantly recognize this creature – What was once brilliant scientist William Birkin and now hulking grotesque beast that constantly mutates and hounds either protagonists Leon S. Kennedy and Claire Redfield during the course of the classic survival horror game’s second and third acts. Here’s a refresher video from the game showing Leon battling Birkin’s several mutated forms. 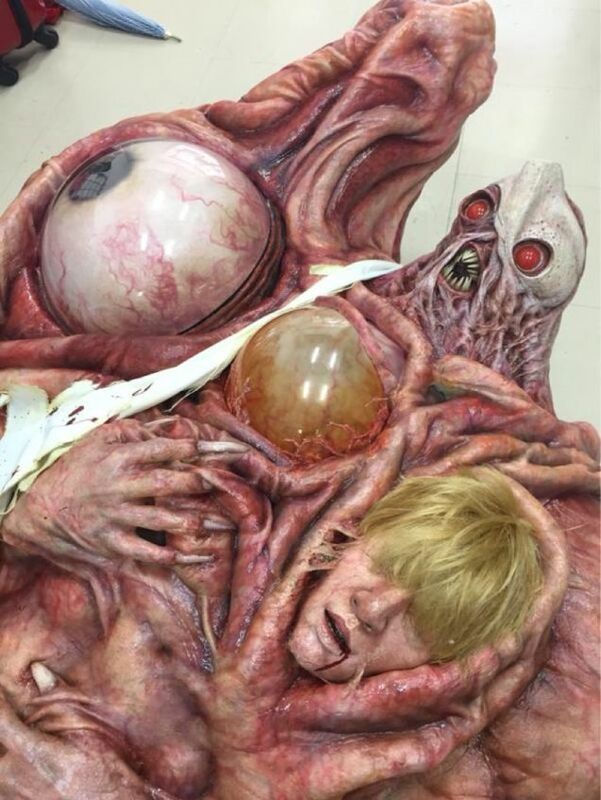 Now the world gets to see this bio-weapon of a boss from the critically acclaimed Survival Horror game sequel brought to life by a very creative cosplayer named Gai,who pretty much got the second mutated form version of Birkin pat down. Spotlighted by the official Resident Evil Facebook page and Kotaku, this wearable work of art comes complete with movable eye and a monstrous face that could only give RE fans the chills if you ever come up close and personal with the creature. Check out the cosplay in action, courtesy of this tweet video from rantyu_xx! If this doesn’t excite fans and make Capcom realize that the possible Resident Evil 2 HD Remake idea is a good thing, then nothing will! Next articleThe Walking Dead Prequel is Here! ‘Super Mario Run’ is dashing to your iPhones this December 15!